Cheap N Reliable plumbing provides a full range of toilet and cistern maintenance, installation and replacement services. If your toilet is blocked or leaking water, then call Cheap N Reliable today as we’re experts in toilets and cistern repairs. Our vans are stocked with a large variety of tools to suit almost any type of job so this means there is a good chance we’ll be able to quickly repair your toilet on the spot! This can be a big time saver and of course, this will also pass on the savings to your wallet! 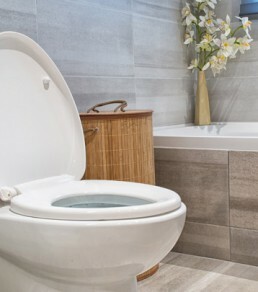 Leaking and blocked toilets can be very inconvenient, especially when you have just the one toilet and you have guests over. Cheap N Reliable Plumbing can be over in no time and will quickly and affordably solve your problems. We’re able to quickly repair or fix toilet cistern leaks, replace toilet suites, install dual flush cisterns and unblock blocked toilets.